Many people don’t get their air conditioning equipment serviced on a regular basis. There are many good reasons to have a service carried out and now is the time to get it done. Ideally, the earliest parts of the heating and cooling seasons are the best times to ensure that your equipment is ready for use. Let’s take a closer look at why servicing is so important and how it can save you money. It may be the case that your air conditioning system is costing you money and you’re not even aware of it. A lack of efficiency can be caused by a number of factors, such as a dirty blower fan, worn parts, parts that need adjusting and a host of other issues. When the system is running less efficiently, it will use more electricity, and that will cost more money. A comprehensive service will address these issues and correct them before they get worse. A well serviced system will work far better and cost a lot less to run. Most of us have heard that prevention is better than the cure and this applies to air conditioning servicing. As we have already discussed, worn parts can make your system run less efficiently, but they can also cause more damage. An air conditioner is a complex piece of equipment with mechanical and electrical parts. When a part begins to wear out and fail, it can cause more damage in a couple of ways. Firstly, the damaged part can cause a premature failure on other parts that are connected to it. Secondly, the part could cause the system to work harder leading to additional wear to other parts in the system. The longer this situation continues increases the severity and most likely the cost of the eventual repair. A professional local Fujitsu air conditioning service provider may offer its customers a maintenance program. This is a regular scheduled program with a reminder, so you don’t miss an essential service. You could also save a significant amount of money, as some companies offer discounts to customers enrolled in their program. If they are looking for a high quality local Fujitsu air conditioning, Perth residents should contact us. 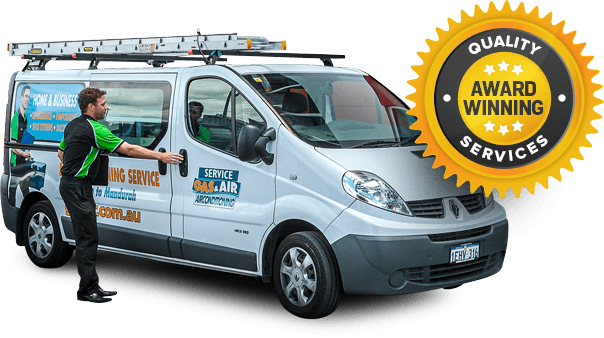 Here at Gas & Air, we have a vast amount of experience in dealing with all kinds of domestic and commercial air conditioning systems. Our installation experts are trained to a high standard, and we offer a quality service that won’t break the bank. Get in touch with us to arrange your service early, and you can enjoy a hassle free heating season.